Benvenuti alla seconda parte del Dottore Gianni’s blog on the course he took at OLLI called Three Jazz Icons. If you are jumping into this one without having read the first I’d advise a quick look at the beginning of la prima parte, as it will fill you in on the background and the reasons for writing this, and if you keep reading a look at the earliest of the three icons, Jelly Roll Morton. Dottore Gianni is not certain he can do justice to icon number two: Thelonious Monk, or TM, by which term he’ll indicate the pianist also known as “Sphere.” This jazz phenomenon takes him all the way back to his time at the small military compound in Hof, Germany…WEST Germany at the time, and JUST south and west of the borders of East Germany and Czechoslovakia. very inexpensively. Each of us had his own rather sophisticated sound system in the barracks. Officers did much better, as with the money they were paid they bought classy Mercedes and Porsches! 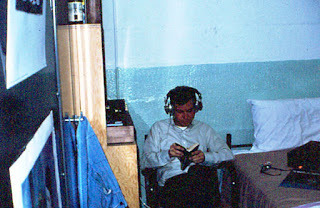 All that is to say that there were recordings to be had in Hof, mostly rock ‘n’ roll but a few jazz albums as well. Few people bothered with these, which meant that they quickly went on sale. When sales occurred Airman Hrkach swooped in and bought several, including recordings by Ahmad Jamal, Yusef Lateef (I did not know much about jazz, so I went for the most exotic sounding names), and a man with the wonderful first name of Thelonious. 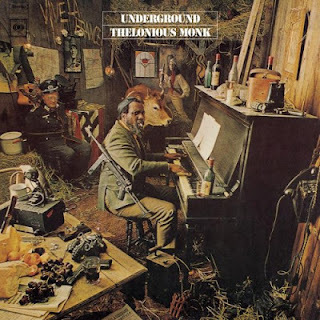 I’m fairly the least expensive album I purchased there was called Underground, which boasted not only Monk’s unusual first name, but one of the wildest album covers I’d ever seen…for fifty cents. I began to really dig what jazz I heard and I dug Underground the most-est, baby! TM made me a true believer! Because there were very few jazz aficionados hanging around Hof AFB, word got out that I liked jazz and one day, in the line for chow, I was introduced to an African American guy named Willy, who served up the grub. He too liked jazz, and unlike me he happened to be a very good piano player – in fact he took me to a place called das Bootshaus (The Boathouse) at the edge of town which became for me, jazz heaven! 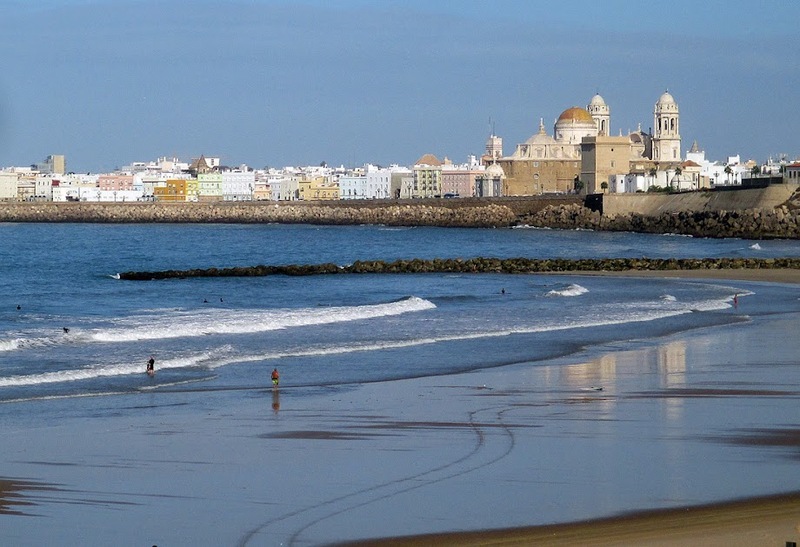 I also went there on occasion with my German girlfriend, Karin Fritz, with whom I was completely smitten, but one of the times Willy took me there (Karin may have been there too, can’t quite remember – she later broke my heart, so who cares, right?) it was to see Mal Waldron, who had tickled the ivories with many a jazz legend, in fact had accompanied Billie Holiday for a time). A Czech couple (he was Czech, she a German, who was, as the Germans would say schön…beautiful) ran the place – the Germans like jazz a lot, the Czechs LOVE it. Hubby also played a pretty mean bass. Anyway, it turned out that lowly cook Willie knew Mal, who paid him the supreme compliment of allowing him to take his place at the piano for a few tunes – what a great night! 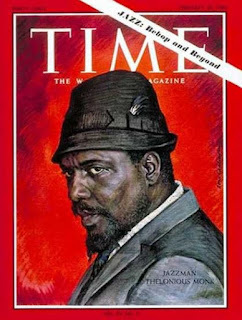 Hmmmm…I seem caught up in a wave of nostalgia…as I was trying to write, I admit that what I’ve been going on about has little to do with Thelonious Monk…BUT it was at Hof AFB that I was introduced to him, so there! And TM has been one of my favorite jazz musicians ever since. In fact if I was waffling at all on whether or not to take the course the fact that TM was a part of it put a stop to the waffle! TM was born in Rocky Mount NC, but when he was still very young his parents (his father’s name was also Thelonious) moved to Manhattan. He began playing the piano at age 6, and was largely self-taught, which may go some way to understanding his unique style. He was a high-school dropout and by his late teens he began to get work playing jazz. 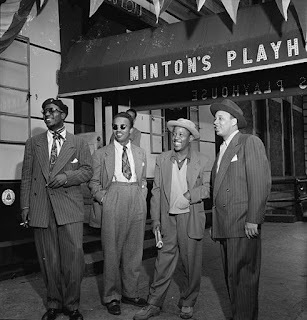 In the 1940s he played at Minton’s Playhouse on the southern edge of Harlem. 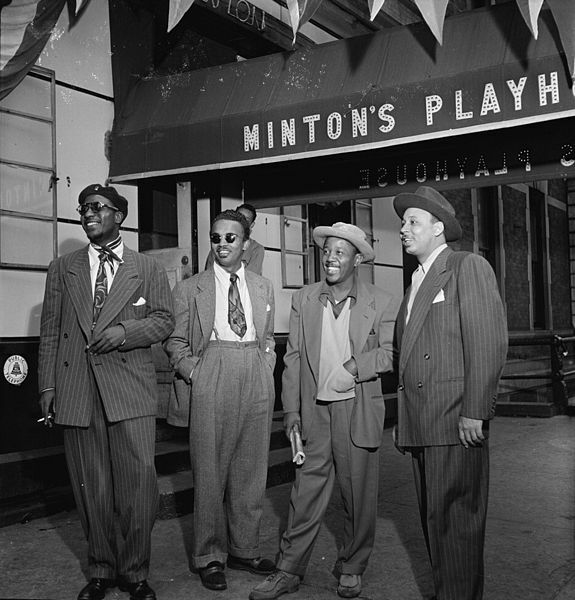 Minton’s was known for its pioneering of bebop, and other musicians performing there in the early 40s included Charlie Parker and Dizzie Gillespie. Dottore Gianni wonders if one of the reasons Monk developed such a unique, difficult to follow style was to limit that writing on shirt cuffs, those scribblings on table cloths. The music WAS difficult. One of TM’s most famous albums is titled simply, Monk’s Music, and features Coleman Hawkins, the legendary saxophonist with whom TM first recorded and who it has been claimed could play just about anything, and the unmatchable John Coltrane. These great musicians were somewhat baffled by what TM wanted them to play during the recording sessions, leading TM to exclaim: “You're the great Coleman Hawkins, right? You're the guy who invented the tenor saxophone, right? You’re the great John Coltrane, right? Well, the music is in the horn. Between the two of you, you should be able to find it." 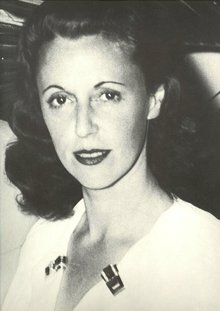 TM’s career suffered a setback of sorts in 1951 when he and fellow legendary pianist Bud Powell were caught with drugs. While the drugs were presumed by the police to belong to Powell, TM refused to testify against his friend so his New York City cabaret card was taken from him. Without this little card you could not play in a New York City club, and through most of the 50s TM either played theatres in the city, and not often, or toured. Fortunately, however, he was able to keep recording. Speaking of recording, TM did a lot of it before getting the recognition he deserved. His first successful album of his own work is called Brilliant Corners, featuring Sonny Rollins on sax, recorded by Riverside in 1956. 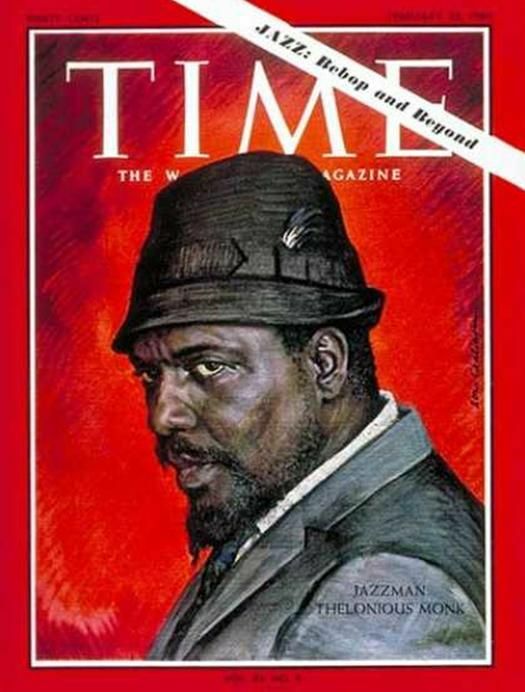 This label produced many other TM albums, including these greats: Monk Himself, Monk’s Music, The Thelonious Monk Quartet with John Coltrane at Carnegie Hall. Monk moved to Columbia in 1962 and recorded over ten albums there, including Monk’s Dream, Straight, No Chaser and Dottore Gianni’s first and favorite. Underground. When he finally got his cabaret card back in 1957 Monk began a longstanding gig at the Five-Spot, a seedy club in the even seedier (at the time) Bowery, which was home to some great musicians. It was here that our teacher George Kanzler heard him frequently. George told us that the piano at the Five-Spot was usually so out of tune that Monk tended to be careful with the way he played it. George pointed out that on the live at Carnegie Hall album TM seemed to take delight at playing a well-tuned piano and the recording is studded with flourishes and arpeggios, somewhat unusual for the more or less minimalist Monk. TM returned to the Five-Spot in 1958. In the near 6 month 1957 gig Coltrane had been his sax man, but when it was over he returned to the legendary ensemble led by Miles Davis. 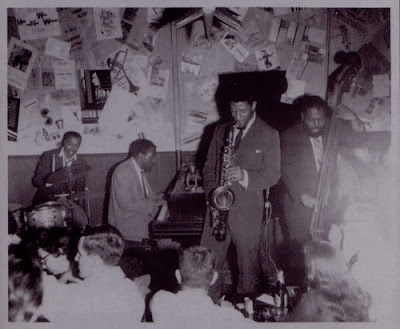 Monk picked up Johnny Griffin in 58, but he was soon succeeded by Monk’s long term saxophonist, Charlie Rouse, who worked with him from 1959 to 1970. 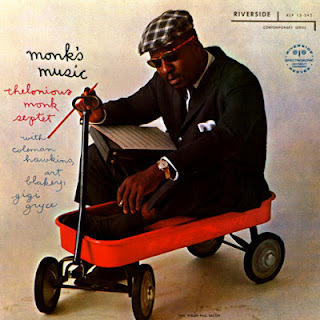 After Monk’s death Rouse recorded a great album, at least partly in honor of the pianist, called Epistrophy, named for one of TM’s trademark tunes. In 1964 Monk picked up Larry Gales on bass and Ben Riley on drums, with Rouse of course on sax. This would be his longest serving band, and a great band it was. These three, along with the excellent pianist Kenny Barron, created a tribute group called Sphere (for Monk’s unusual middle name). Interestingly neither Rouse’s album honoring Monk, nor this group was featured or even mentioned in class. Dottore Gianni had the very good fortune to see Sphere live in the late 90s, he seems to remember at the Village Vanguard. By this time Rouse had died and Buster Williams took Gales’s place on bass – what a great evening that was! icon made the cover of Time Magazine. Only four other jazz musicians (the others are Louis Armstrong, Duke Ellington, Dave Brubeck and Wynton Marsalis – the first three worthy, the fourth…well, Dottore Gianni is dubious – and just think of those who have NOT gotten covers…) have been granted this…well, whether you think it’s an honor or not (again Dottore Gianni is dubious) it certainly does promote jazz! 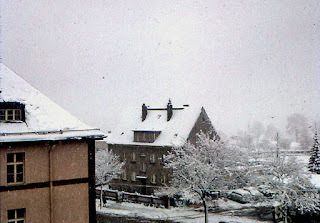 After the 1960s TM began to disappear from view. He had written his greatest songs: “Round Midnight” of course, according to George the most recorded jazz tunes, over 1,000 of them; “Epistrophy” I already noted; “Misterioso”, called by George one of Monk’s earliest masterpieces; “Criss-Cross”, tapped by George as perhaps his greatest single work, notable for its abstract, minimal nature; “Straight, No Chaser”, a blues which George says is very popular at jam sessions; “Four in One”, one of his most melodic pieces per George; and another more melodic than usual tune, “Crepuscule with Nellie”, his only “through-composed” – that is with no improvisation – song. “It was his concerto, if you will, and in some ways it speaks for itself. But he wrote it very, very carefully and very deliberately and really struggled to make it sound the way it sounds. [... 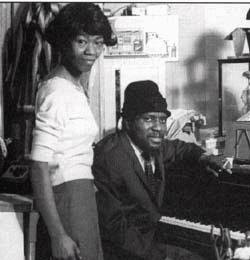 I]t was his love song for Nellie.” They had a son in 1949 named Thelonious Sphere the Third – the jazz drummer wisely goes by T.S. 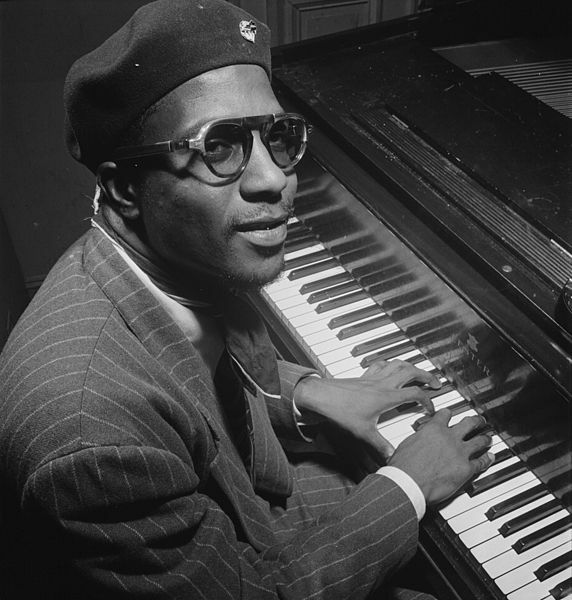 – who founded the Thelonious Monk Institute, an organization that with the U.N. sponsors International Jazz Day (the second annual concert was taped on 30 April 2013, and along with Herbie Hancock and others T.S. spoke at it), sponsors competitions and various educational programs. And in 1943 they had a daughter Barbara, affectionately called Boo-Boo. In 1967 TM wrote the song “Boo-Boo’s Birthday” for her, one of his last compositions. Re TM’s mental health, doctors at one point wanted to treat him with electro-shock “therapy” but fortunately his family would not allow it. Instead he was placed on antipsychotic drugs, which some sources say may have caused brain damage. Ouch. His last years must not have been easy, except of course that he lived with his patroness in her beautiful house. That does it for la seconda parte. I hope you’ve enjoyed reading it as much as I have done researching and writing it. L’ultima parte should be out sometime this coming week. Cheers all!